Windows Movie Maker (Windows 7 or Vista) whose computer cannot run the XP version of Movie Maker. Windows Movie Maker gives you the tools to create, edit, and share home movies. Compile and edit a movie from video clips with drag-and-drop functionality. Add special effects, music, and narration with ease. Share your movie over the Web or master it to DVD media. You can also save your movie back to the DV tape in your camera. ...... Windows Movie Maker 2.6 for Vista is compatible with Windows 7 and recommended by video editors, although Windows Movie Maker 2.6 is a stripped down version and does not include video capture. 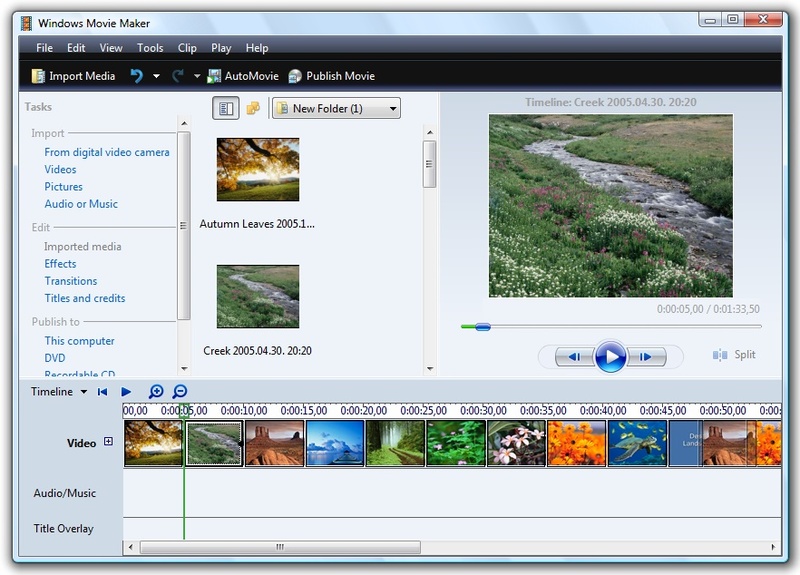 Windows Movie Maker 2.6 (for Windows 7 or Vista) gives you the tools to create, edit, and share home movies. Compile and edit a movie from video clips with drag-and-drop functionality. Add special effects, music, and narration with ease. Share your movie over the Web or master it to DVD media. You can also save your movie back to the DV tape in your camera. If Windows Movie Maker 2.6 (for Windows 7 or Vista) launches, you should not download Windows Movie Maker 2.6 (for Windows 7 or Vista). Qweas is providing links to Windows Movie Maker for 7 or Vista as a courtesy, and makes no representations regarding Windows Movie Maker or any other applications or any information related thereto. Any questions, complaints or claims regarding this application Windows Movie Maker for 7 or Vista must be directed to the appropriate software vendor. You may click the publisher link of Windows Movie Maker on the top of this page to get more details about the vendor.